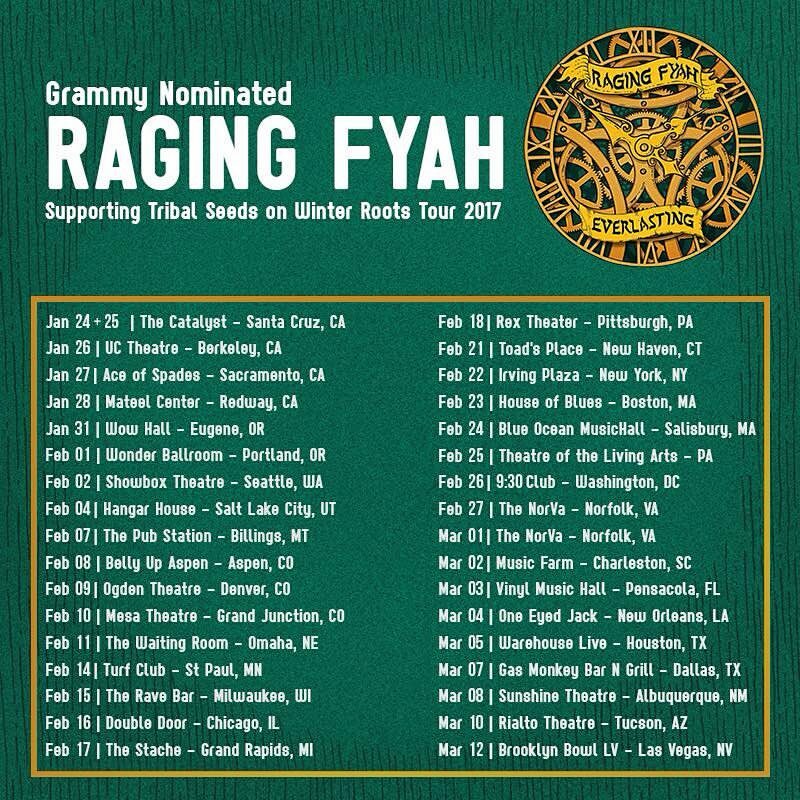 Raging Fyah will kick off their 2017 World Tour with Tribal Seeds in the United States on Jan 24th and then with UB40 in Europe in May. The 5-piece rising Jamaican band is touring in support of their latest album Everlasting, which is nominated for a 2017 Grammys® Award for Best Reggae Album. This is their first nod for the prestigious ceremony. The 59th Annual Grammys® will air live from the Staples Center in Los Angeles on Feb. 12th, 2017 at 8 p.m. ET. on CBS. Everlasting, released in May 2016, follows their previous releases Judgement Day (2011) and Destiny (2014) and is their debut effort for VP Records' new imprint Dub Rockers.